Business Users will be allowed to place unlimited ads, in applicable/appropriate categories on the Nex-Tech Classifieds for a small fee. Business will need to upgrade to a Business Account to ensure that business ads are not rejected by our moderators once the beta is complete. If any reasonable person would consider it a business, ie: consistent items being placed to be sold. If you have a personal account you can upgrade to a business account at anytime. But you can not downgrade a business account back to a personal account. Business customers will automatically be billed once a month based on the date you signed up. Currently we accept Visa, Mastercard, American Express and Discover. We hope to add Paypal in the future. 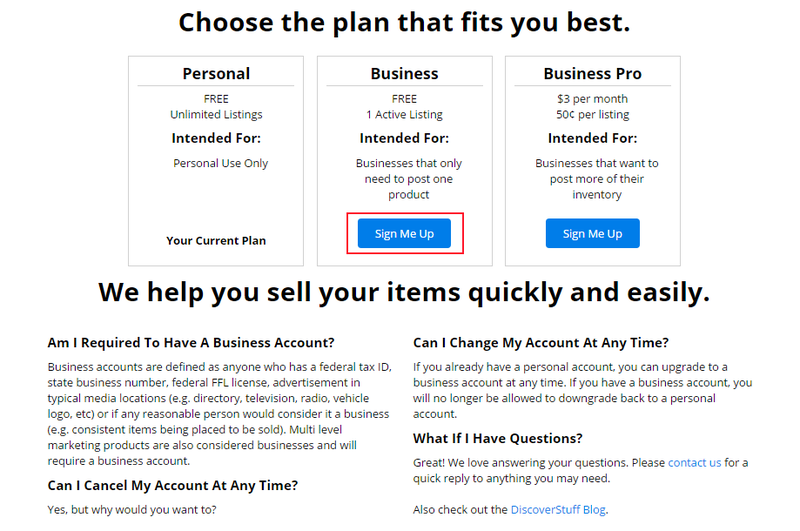 If a business customer wants to post non billable ads for their residential items they will need to make a separate user account to place those ads. All ads in the business account will be billable. 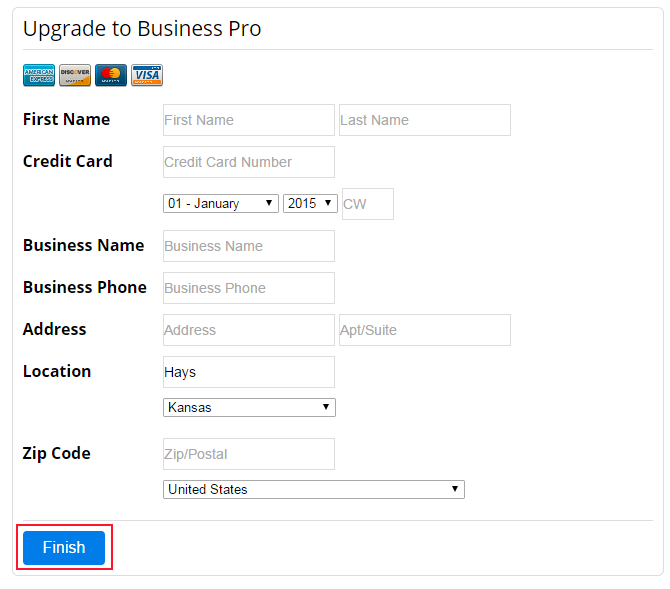 Here is a quick tutorial showing how to complete the process to upgrade to a business account. 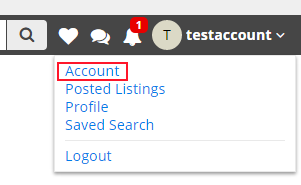 Log into your account and click on the Account link in the upper right hand corner. This will display you account information. 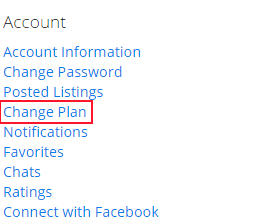 Click on the Change Plan option located on the left margin of the account screen. This will bring us to the Choose Plan screen. Please note that there are two types of business accounts that you can choose from. Please review the information for each account carefully and then click on the Sign Me Up link on the bottom of the account you wish to upgrade to. If you choose a Business Pro account, every month your credit card will be automatically billed for the base fee and your per ad fees associated with your account. 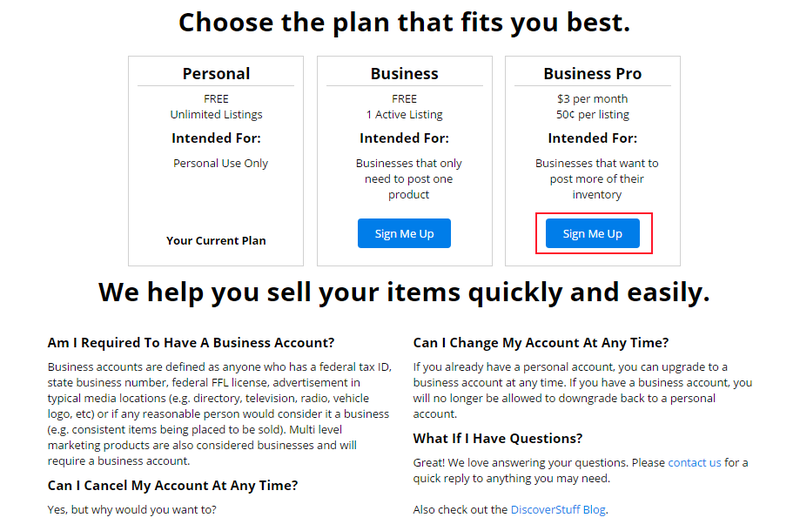 After clicking on the Sign Me Up link, this will bring us to a screen to enter in the billing information for your business account if you clicked on the Business Pro account. After filling out the billing information for the account, click on the Finish button. After clicking on the Finish button you will see the Business screen that will require you to enter your Business Name and Business Phone. After entering in your information please click on Finish. You have successfully upgraded to a Classifieds Business account.